Coinello claims to be a company specialized in development of hardware for mining firms. You can invest with this company, they offer daily and after plans. The return on investment ratios range between 7 and 9 percent daily. So, is Coinello a genuine opportunity to make money? The truth is that Coinello is not developing any hardware. You can do your research, mining hardware is a pretty exposed industry with ASICs dominating the field. But no trace of Coinello. Coinello shows a company registration in the UK, but is only 43 days old. Moreover, it is just a tax registration that can be done over the Internet, it says nothing about the legitimacy of the company. The main thing is that Coinello is offering investment plans, so it is providing investment services. And this is a regulated activity, overseen by the Financial Conduct Authority in the UK. But Coinello is not registered with the FCA, so it is offering illegal investment services. That’s a fact. 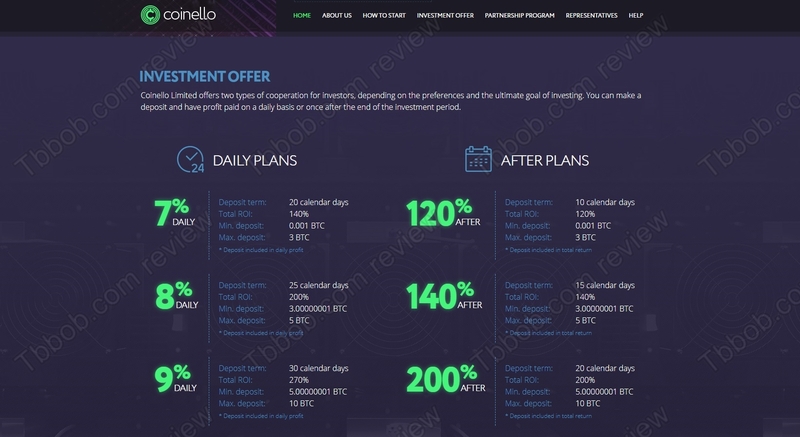 The best Coinello investment plan is the one with 9% daily, which means 270% per month. The deposit is included, so the net profit is 170% per month, which means 5,67% net daily. These numbers are totally impossible in the cryptocurrency mining industry, be it mining or selling mining hardware. In fact, no legit business can offer this kind of returns in the long term, these numbers are unsustainable. The reality is that Coinello is just another Ponzi scheme hiding behind cryptocurrencies. It will collect money from the public and initially pay profits using new deposits for this purpose. When withdrawals exceed deposits, the system will collapse and all the money disappear. It can happen any time. In fact, owners of Coinello can close it down even earlier, when they are happy with money they collected. 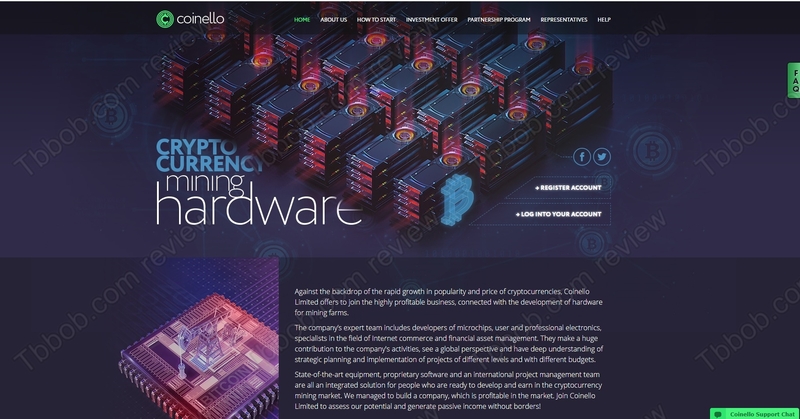 Coinello is a scam, it is not about crypto mining or hardware development. It is a Ponzi scheme, stay away from it! If you are interested in cryptocurrencies, you can try trading them, their volatility offers a lot of opportunities. Start on a free demo with a regulated broker. But you have to understand all the risks, the high volatility means that you can quickly make, but also quickly lose money. I believe it’s just another Ponzi scheme.